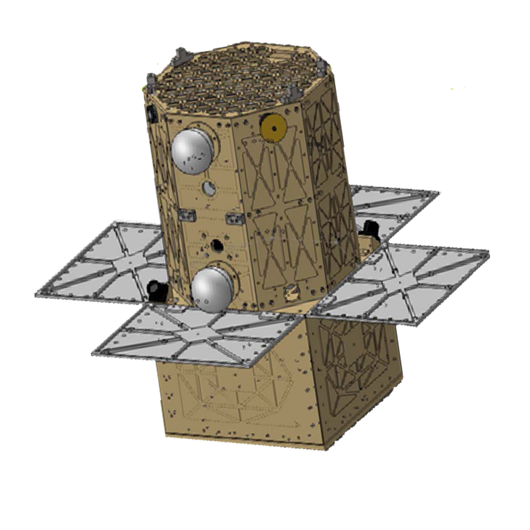 Michigan Tech Aerospace is a collection of research, development, and educational laboratories dedicated to advancing spacecraft technology. Doctoral research students build and test plasma thrusters that are used to propel satellites as large as a school bus and as small as a smart phone. 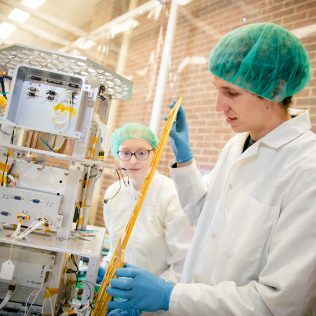 Undergraduates apply fundamentals of Systems Engineering to design, build, and fly small satellites for agencies such as NASA and the Department of Defense. Faculty experts push the limits of what is possible to solve problems for government and industry customers. Want to learn more? Take a look around…. 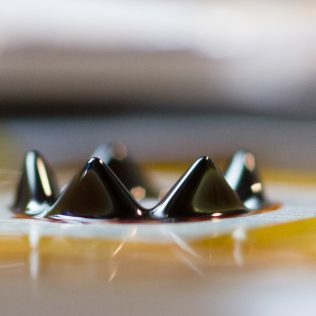 The Isp Lab invented and patented a novel micropropulsion technology where magnetic fields shape superparamagnetic ionic liquids into self-assembling miniature ion thrusters. 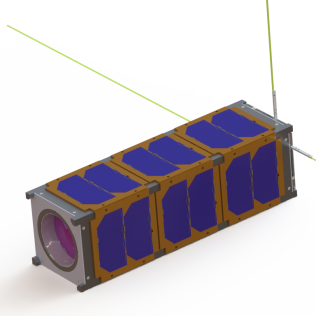 This unique form of electrospray propulsion is being transitioned from the laboratory to flight-ready devices that will be used to propel cubesats. 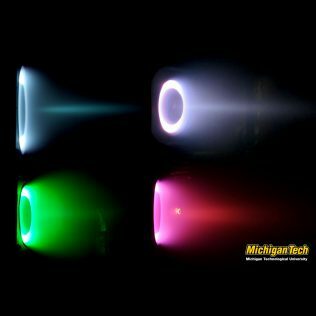 The Ion Space Propulsion laboratory has been conducting research into condensable-propellant-fueled Hall thrusters since 2004. Bismuth, zinc and magnesium thrusters have been successfully tested using the condensable propellant test facility. 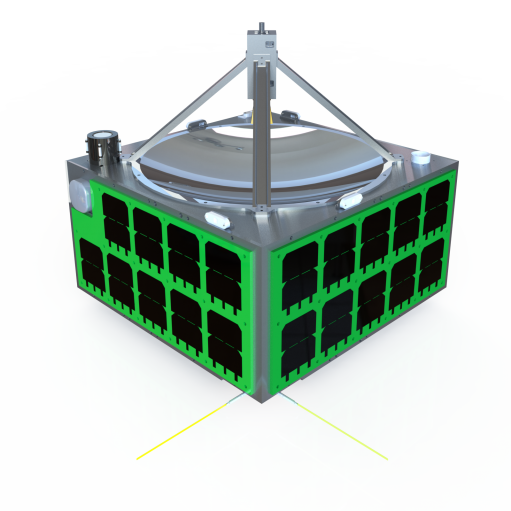 State-of-the-art space simulation chambers are used to develop and investigate plasma thrusters as small as a postage stamp. 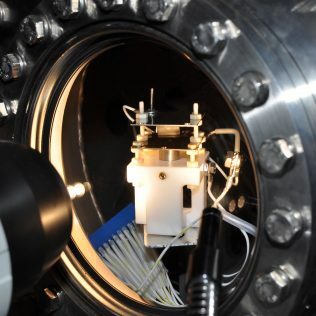 Facilities are capable of maintaining a vacuum almost as pure as that experienced in orbit and examining how the thruster performs in this environment. 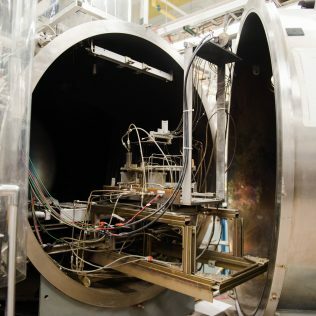 2-meter-diameter by 4-meter-long space simulation chambers are used to test the performance of full-scale plasma thrusters that operate on gaseous propellants such as xenon and krypton. Sensitive thrust stands can measure the propulsive force with accuracy better than 1 millli-Newton. Congratulations to Elizabeth Van Heusden on successfully defending her thesis and obtaining a MS…. Congratulations to Brandon Jackson on successfully defending his dissertation and obtaining a PhD….